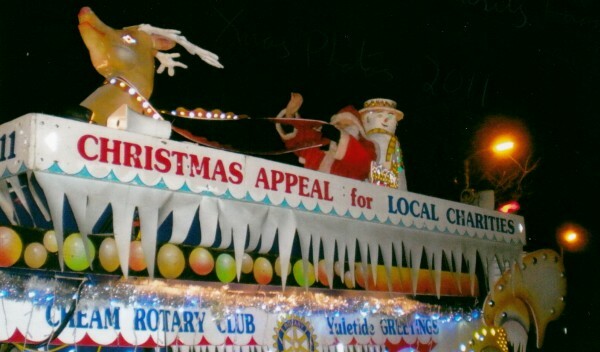 Once again this year we’ll be following Cheam Rotary Club’s Santa’s Sleigh as it parades through Cheam on 13th December – and we’d love you to join us in our pursuit and for a festive pub tipple afterwards. The sleigh begins at 6pm from the juction of Ridge Road and Burleigh Road, and as it makes its rounds you’ll find us in its wake, collecting donations for the farm from the crowds. Afterwards, we’ll head to The Hope Pub (we’ll arrange lifts for you from the Sleigh if you’ve no transport) at 48 West Street, Carshalton to warm up and toast a great growing year – please come and join us!